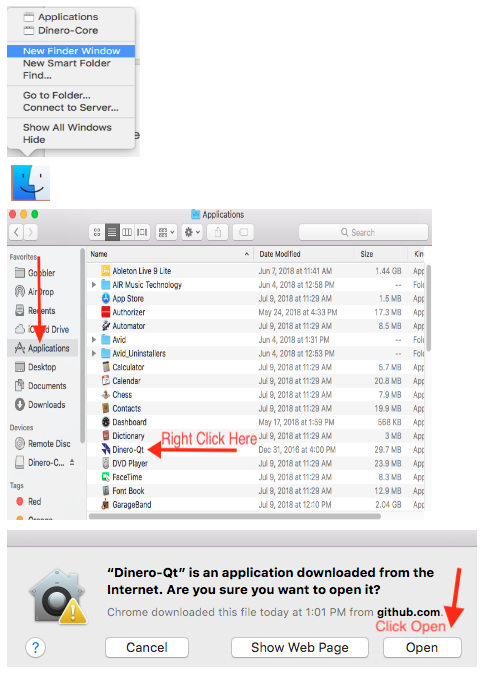 This guide will take you through all the steps in getting a Dinero wallet on your Mac desktop. 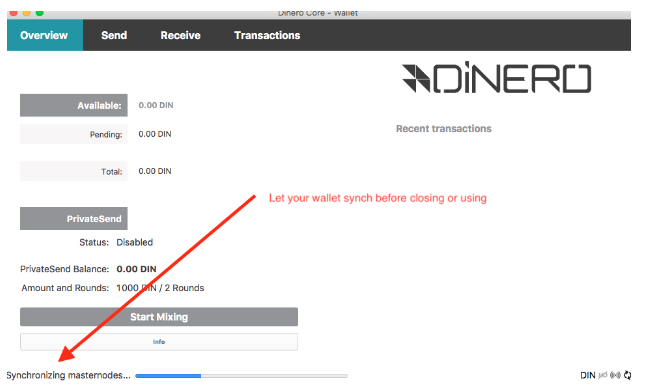 Go to https://dinerocoin.org navigate to the main menu wallet item and go to "Desktop Wallets". This will take you to the Dinero github page with download links to the latest Dinero Software. You are looking for the dinerocore-*.*. *-osx-unsigned.dmg link. Once you locate the correct download link click it to download. Click the downloaded file once the download is finished and drag the Dinero icon into your app folder. Go to you Mac’s finder, right click and open up a new finder window. Select your applications folder. Scroll down to Dinero, right click the Dinero app, and click open from the list of items to select. You will not be able to open the file by clicking on the app and you must open the file using the right click method. Continue to click open. Your wallet is now running and will take approx 30 minutes to synch the blockchain. After the wallet is fully synched, it’s ready to use or you may close it if you plan on using it at a later time.